This was Day One of what became known as the Warsaw Uprising. It lasted another 62 while Stalin kept his army the wrong side of the River Vistula to give Hitler time to finish off the Polish nationalists who would have made it so much harder to turn Poland into the kind of post-war Communist satellite it became. (Not the first time the two monsters colluded against Poland.) When it had finished at least 150,000 people had died, 700,000 of its citizens were displaced about the countryside, and at their Führer's behest German army engineers did their best to make what was left uninhabitable. Even then the fighting had only stopped when the Wehrmacht, anxious to secure their supply lines against the advancing Russians, agreed to grant the insurgents prisoner-of-war status – something previously unheard of in Poland and the rest of Nazi occupied Europe where captured partisans were usually shot out of hand. Nine days before the liberation of Paris the SS were still executing prisoners in the Bois de Boulogne. The octogenarian Borowiec has been calling himself Andrew ever since his early twenties. It started when he used the English he acquired at British government language classes for former Polish military, to gain a place at New York's Columbia School of Journalism. This was the beginning of a career as a foreign correspondent, first for the news agency Associated Press and then the Washington Star. But although in 2001 he published a military history of the Warsaw Uprising (Destroy Warsaw! Hitler's Punishment, Stalin's Revenge) he has long struggled to write a more personal account of those turbulent times. 'A subtle, well observed autobiography,' said Roger Boyes in a full-page piece in The Times, which declared it 'our non-fiction book of the week'. 'It is a timely, angry, terribly moving and drily amusing account of an especially dark period in Poland's often tragic history.' wrote Lewis Jones, in the Telegraph. 'Hugely engaging… highly readable,' pronounced the historian Roger Moorhouse in the Financial Times. 'The tribulations of a country for which Britain went to war in 1939, and about which most of us still know far too little'. In August 2014 the bilingual Polish journalist Agnieszka Rakoczy, who works for the Polish Press Agency and various English language publications, interviewed Andrew Borowiec and myself for a piece that appeared shortly after the 70th anniversary of the Uprising in Cyprus Today. Warsaw Boy has its own special back story, one rooted in a longstanding friendship between two veteran journalists, Mr Borowiec himself and Colin Smith, both seasoned war correspondents, both Cyprus-based. 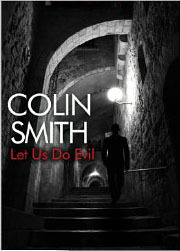 Smith, who edited the memoir, was a renowned correspondent for the Observer, and the author or several successful military histories, novels and the biography of the most notorious terrorist of the 20th century, Carlos the Jackal. Now living in South Nicosia, the two writers have known each other for many years. They first met in Beirut when covering the Israeli invasion of Lebanon in 1982. 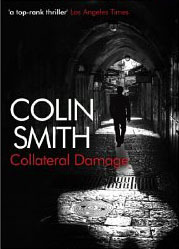 'From time to time we found ourselves at the wrong end of aerial bombing and shelling,' Smith told Cyprus Today. 'But I noticed Andrew always seemed remarkably unconcerned. "This is kleiner krieg," he'd say, shrugging his shoulders. "It's nothing like what we had to put up with in Warsaw." Intrigued, in quieter moments the British journalist began to badger his older, unflappable colleague to tell him more about his days as a gun toting teenaged insurgent. Forty years later, they reverted to the same conversation when the Pole approached him to help edit his life story with a view to an English language readership. Both acknowledge that they hope Warsaw Boy will fill a gap in the English language bibliography of wartime Poland, not only about the Uprising but everyday life under a brutal occupation. To fully understand the places and events in his friend's memoir in the summer of 2012 Smith travelled to Poland, doing extensive research into the history of the Polish underground, the weapons of the day, even the layout of Warsaw's sewage system which the insurgents used to evade the Germans. Unadorned pragmatism is characteristic of the Borowiec narrative approach. Whether talking about childhood, the war experience of his adolescence or his life afterwards he is sparing with the adjectives and metaphors. He is adept at the verbal short cut that delivers vivid description in a few words. Borowiec, like his friend Colin Smith, spent much of his professional life covering the major conflicts of the second half of the 20th century. 'I'm not saying I never had a fright, but after my experiences in the Uprising I suppose it was easier to accept risks. Even the Congo, just after the Belgians left a very evil place to be, couldn't compare to what happened in Warsaw,' said this frail veteran who is all too aware that the chances of him living this long and eventful life were once very small indeed. 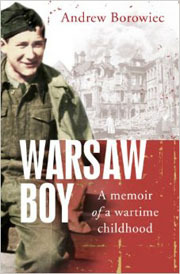 He has dedicated his compelling memoir 'For all the Warsaw boys – especially the ones who never grew up'. 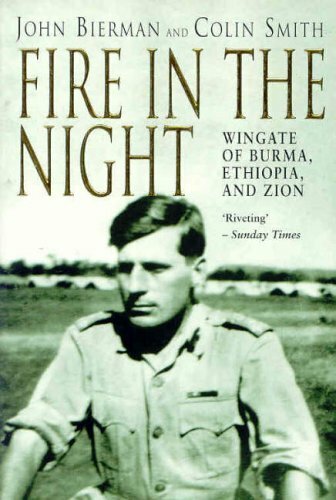 Now that Macmillan has republished its paperback edition of Fire in the Night: Wingate of Burma, Ethiopia and Zion, each of the four military history titles shown above are available in both paperback and eBooks format. Excerpts and reviews are accessible through the list of titles on the right-hands side of the page. 2014 saw the 70th anniversary of the death of Orde Wingate in a flying accident on the Indo-Burmese border where, mostly in big transport gliders, he had just inserted 12,000 British troops behind Japanese lines. Wingate, who had recently turned 41, was arguably the most innovative general Britain ever produced and certainly the most eccentric. In Fighting Times Issue V - the military magazine produced by the digital publisher Endeavour Press at http://endeavourpress.com/fighting-times-v-military-matters-past-and-present/ you can find a recent profile I wrote of the man Churchill eulogised as 'a man of genius who might well have become man of destiny'. I hope of course this will wet your appetite for the book I wrote with the late John Bierman, author of Righteous Gentile, the best of the Ralph Wallenberg biographies. Our Fire in the Night, first published in 1999 by America's Random, is currently under option to a New York based film producer who has now renewed the option four times. A script has been written but how close we are to the start of filming I wouldn't dare to venture. That Wingate deserves the big screen, and would have had it years ago if his widow had not demanded ultimate control of the script, is beyond question. Tasmanian writer Richard Flanagan won the 2014 Man Booker prize for his novel The Narrow Road to the Deep North. His fictional protagonist is Dorrigo Evans, an Australian army doctor and when Singapore surrendered in 1942 one of the 120,000 Australian, British and Indian prisoners who fell into Japanese hands. The 'narrow road' of the title is, of course, the infamous 260-miles of death railway from Bangkok to Rangoon on which over 12,000 of the half starved 60,000 prisoners used as slave labour died of malnutrition, cholera, sheer exhaustion and the habitual brutality of their guards whose punishments included crucifixion. It is tribute to the power of Flanagan's prose that he was able to win the plaudits that he did out of an atrocity that has been visited so many times in both fact and fiction. 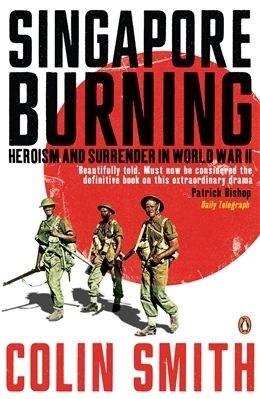 In Singapore Burning - Heroism and Surrender in World War Two I tell the largely untold story of the hard fought campaign down the length of the Malay Peninsula that lasted almost two months and preceded the fall of the 'impregnable' British naval base at its foot. 'Magisterial, tremendous. Smith knows how it feels to be a soldier and his story is unforgettably told,' wrote Neal Ascherson in the Observer. Churchill called it: 'The worst disaster and largest capitulation in British history.' And in private the prime minister expressed his doubts about the fighting spirit of the men under Lieutenant- General Arthur Percival's command who outnumbered the enemy. 'They should have done better,' the prime minister told his friend Violet Bonham-Carter, the liberal politician and writer. Undoubtedly there were instances of panic, rank cowardice and glaring incompetence. Yet during the six weeks campaign in Malaya all the nationalities defending it displayed at times a dogged resistance, the Australians entering the fray with a devastating ambush. There were also moments of great valour. Between them the army, navy and air force collected four Victoria Crosses - two of them posthumously, one to the captain of a commandeered Yangtze river boat who rammed a Japanese troopship. The inevitability of the British defeat can mostly be blamed on hubris. Rarely was an enemy so underestimated. They thought they were better than their Asian opponents in every way: better equipped, better trained and probably genetically better suited for modern warfare. How could myopic Japanese pilots hope to compete? Then in the space of 90 minutes their aircraft sank the Prince of Wales and the Repulse, the two battleships sent to remind Tokyo who ruled the waves. They went on to establish total air supremacy. Beneath this formidable umbrella their dour infantry glided south on bicycles along roads from which their enemy had sometimes already been scattered by the only tanks in Malaya. The British had not thought them necessary. 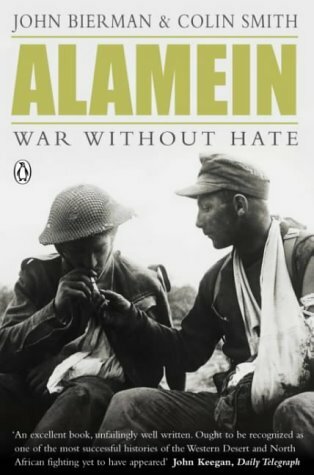 In a review for the Daily Telegraph, the British military historian Sir John Keegan wrote of Alamein; War Without Hate: 'This is an excellent book, unfailingly well written. Ought to be recognised as one of the most successful histories of the Western Desert and North African fighting yet to have appeared.' 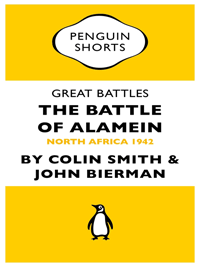 And he pointed out that, far from being just another history of the Alamein battle, it was ‘nothing less than a narrative of the whole war on the southern Mediterranean shore from 1940 to 1943’. The book starts in the summer of 1940 with Mussolini's attempt to invade Egypt, describes the massive defeat of the Italians by much smaller British forces and the beginning of German intervention under Erwin Rommel. But of course, the climax is the battle itself when, after three years of war, Bernard Montgomery's 8th Army ended the Wehrmacht's unbroken run of victories and inflicted the first major land defeat on Hitler's war machine. In December 2012 Penguin published the main battle extract as one of their eBook Shorts for which I wrote a new introduction and epilogue. The much praised full length account, was written with John Bierman following our success with the Orde Wingate biography Fire in the Night. Its cover is a photograph of a British and a German soldier, both with their left arms in bloody slings. sharing a cigarette. This aptly reflects the book's subtitle 'War Without Hate' which we borrowed from General Erwin Rommel's unpublished memoirs Krieg Ohne Hass. An account of how exactly Private Sydney May of the Durham Light Infantry, and his unknown German adversary, got those identical looking injuries arrived from a reader of the original hardback as the paperback edition was going to press and is printed immediately inside the cover before the title page. Four days after Rommel conceded defeat at Alamein and began to withdraw a huge Anglo-American armada appeared off Vichy controlled French North Africa. The most westerly part of it, 102 ships in all, had sailed directly across the Atlantic from the United States. 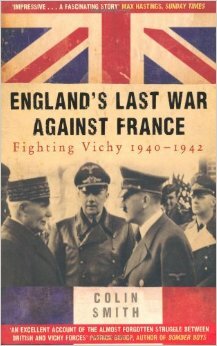 In my England's Last War Against France – Fighting Vichy 1940-1942 some 70 pages are devoted to the machinations behind Operation Torch, the Allied code name for the North African landings. Torch was the culmination of the war within a war the British had been waging against Pétain's Vichy forces ever since the French surrender in the summer of 1940. It started with the deaths of almost 1300 French sailors in the Algerian port of Mers el-Kebir. The British, facing invasion, were determined not to give the Germans the chance to take over any part of France's formidable navy. But when the admiral in charge at Mers el-Kebir was given the choice to either sail with the Royal Navy or scuttle he decided that his recent allies had to be bluffing. These devastating opening shots were followed by a failed Anglo-Gaullist assault on the West African port of Dakar, then in 1941 a bloody six weeks' campaign to wrest Lebanon and Syria out of Vichy hands and, starting in the Spring of 1942, an even longer one to take over Madagascar before its ports were used by Japanese submarines. In French North Africa there was good reason to believe that resistance would be token or even none existent. True, much of its officer corps loathed the British. But they were generally in favour of the Americans and, because President Roosevelt had maintained diplomatic relations with Vichy, his resident North African minister Robert Murphy had been able to recruit the makings of an impressive fifth column. In three days it was all over but in places Vichy forces fought hard and about 1600 Allied troops were killed, most of them American. The French navy inflicted terrible losses on US infantry crammed into small British assault ships, some of them flying the stars and stripes, that were trying to seize the docks at Oran and Algiers. Then most of the French ships left their ports in a gallant and suicidal attempt to break through the Allied fleet and get to Toulon. Almost all of them were sunk or beached. 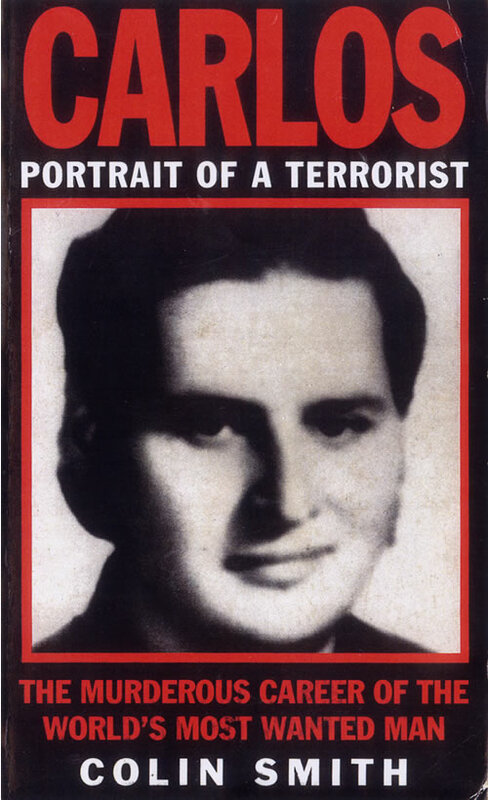 Penguin has brought out a much revised eBook edition of my Carlos: Portrait of a Terrorist including a new introduction and epilogue. Originally published in 1976, and deemed ‘the authoritative biography’ in Wikipedia's entry on the Venezuelan Ilich Ramirez Sanchez, it did well on both sides of the Atlantic and was translated into Finnish, French, German and Spanish. I first updated it in 1995 for Mandarin Paperbacks when Carlos was finally captured after his Sudanese hosts traded him trussed and sedated to visiting French commandos in exchange for an arms deal agreed with the Quai d'Orsay. Then in December 2011, when Carlos was already 14 years into a life sentence imposed in 1997 for the murder just over 20 years before of two French security service officers, I went to Paris for the Observer and the London Review of Books to watch a French court pass a second life sentence. This time the Cold War terrorist was found guilty of masterminding a bombing campaign in France in the early 1980's that left eleven dead and dozens injured. He would not be eligible for parole until he was about 80. However, it seems the French are determined that there will be no parole for the Jackal. He will die in jail. There is an outstanding charge. On Friday 13 September 1974 three Japanese Red Army terrorists shot their way into the French embassy in the Hague and took the ambassador hostage. Their demands were for the immediate release of one of their comrades in French custody and a million dollar ransom. The embassy was surrounded by armed Dutch police and for 48 hours the Quai d' Orsay negotiators stonewalled. Then in Paris, on the afternoon of Sunday 15 September, an American M26 grenade was thrown into a crowded café and shopping complex in St-Germain-des-Prés called Le Drugstore. Two people were killed and several of the 34 wounded were maimed for life. Shortly afterwards somebody called Agence France-Presse and threatened that unless the government met the demands of the Japanese terrorists in the Hague 'we shall attack a cinema next'. Carlos has long been suspected as the culprit and for years relatives of Le Drugstore's victims have campaigned for him to stand trial. It took 40 years, but by October 2014 their wish seemed to be coming true when legal sources in Paris intimated that proceedings were expected to start within the coming months. At both his previous lengthy appearances at the Palais de Justice Carlos has declared he was a scapegoat, a victim of accumulated myth. 'Carlos is here, Carlos is there, he is a Soviet agent making a nuclear bomb to blow up New York,' he jeered. But according to his ex-wife Maria Kopp he was never happier than when the media were bandying his name about. Certainly at times he seems to have had the same kind of relationship with them that the legends of America's Old West enjoyed with the dime novelists who turned William Bonney, a jug-eared youth in a silly hat, into Billy the Kid. 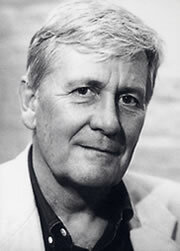 He has already been the subject of almost as many films and inspired novels by Robert Ludlum and Tom Clancy. Just like the Kid, the Jackal will probably be remembered long after people have forgotten exactly who he was, what he did and why. 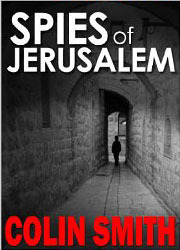 Endeavour Press, Britain's leading independent digital publisher, has now made all three of my Palestine connected novels available as eBooks. Cut-Out, first published in 1980 by Andre Deutsch in London and in New York by Viking and Ace Charter paperbacks is retitled Collateral Damage; The Last Crusade, launched in London by Sinclair-Stevenson in 1991 (paperback 1993) to high praise from the Sunday Times has become Spies of Jerusalem and since 2014 it has had a sequel called Let Us Do Evil. Amazon reviews indicate the books have a growing readership on both sides of the Atlantic. For reviews, extracts, author's notes and plot summaries click on the book titles on the right-hand side of this page. In recent years I have been giving radio and television and live audience talks. I was delighted to be invited to discuss the Vichy campaigns on Document, BBC Radio 4's award winning investigative history series. I have also spoken on the same subject at London's National Army Museum's WW2 Celebrity Speakers Day alongside Lord Asa Briggs, Brian Ford, Roger Field and Sean Longden. Other talks have covered 'War Without Hate - the North African campaign'; 'Singapore: myths & heroism.' ‘Orde Wingate and the guerrillas he led in Burma, Ethiopia and Palestine' and ‘Lloyd George's Christmas Present: Muslim rule ends in Ottoman Jerusalem’. For talks or interviews either get in touch via this website (see Contact Colin) or through: - richardforeman.chalke@hotmail.co.uk or write to POB 20827, Nicosia 1664,Cyprus.